According to rental site Zumper, the median rent for a 1-bedroom in Oakland is hovering around $2,100. But what does the low-end pricing on an Oakland apartment look these days--and what might you get for your money? We looked at listings for studios and 1-bedroom apartments to see what budget-minded home-hunters can expect. Note: prices and availability are subject to change. Here's a 1-bedroom, 1-bathroom apartment at 6315 Shattuck Ave. in Bushrod that's going for $1,775/month. In the unit, you can expect hardwood floors, a partially-tiled bathroom with a linen closet, granite countertops and an electric stove. Pets are not welcome. Over at 1819 7th Ave. in Prescott, this 1-bedroom, 1-bathroom apartment is going for $1,795/month. In the unit, look for carpeting, closet space, stainless steel appliances, high ceilings and a partially-tiled bathroom. When it comes to building amenities, expect on-site laundry, assigned parking and on-site management. Cats are welcome. 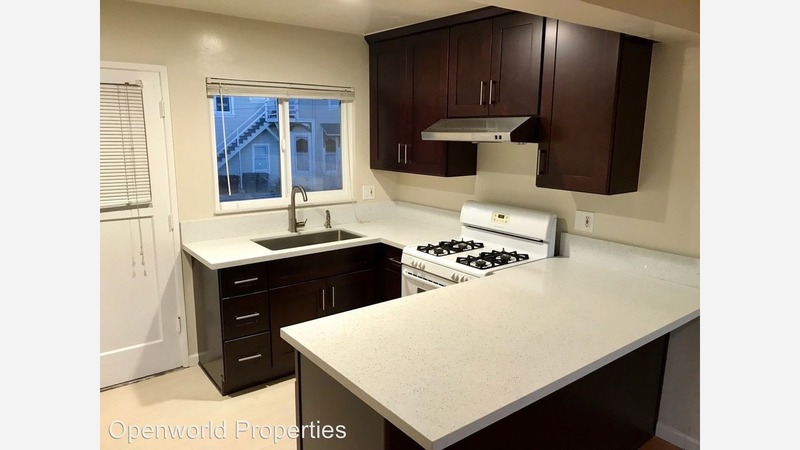 Also listed at $1,795/month is this 1-bedroom, 1-bathroom apartment at 4015 Howe St. in the Piedmont Avenue shopping district. Tenants can expect the unit to include hardwood floors, granite countertops, stainless steel appliances and a bar large enough for two people. Building amenities include on-site laundry and storage space. Pets aren't allowed. Finally, there's this 1-bedroom, 1-bathroom apartment at 1925 7th Ave. in Ivy Hill that's listed for $1,975/month. In the unit, anticipate air conditioning, hardwood flooring, ample closet space, an oven and a partially-tiled bathroom. The building features assigned parking, a swimming pool and on-site laundry. Pets are not allowed.